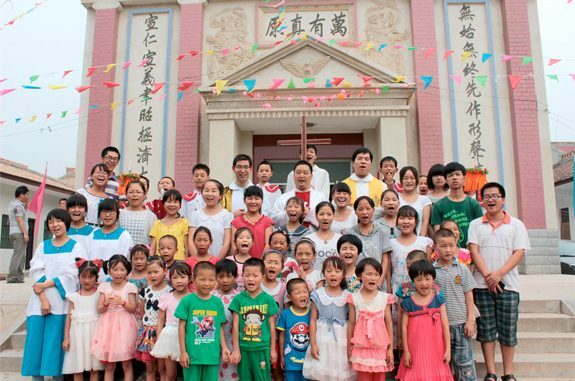 “By my calculations China is destined to become the largest Christian country in the world very soon,” said Fenggang Yang, a professor of sociology at Purdue University and author of Religion in China: Survival and Revival under Communist Rule. The Telegraph article by Tom Phillips points out that the number of Protestants in China has gone from just a million in 1949 to around 60 million today, compared to 40 million Protestants in Brazil and 36 million in South Africa. “Prof Yang, a leading expert on religion in China, believes that number will swell to around 160 million by 2025. That would likely put China ahead even of the United States, which had around 159 million Protestants in 2010 but whose congregations are in decline.” Of course, China also has over three times the population of the United States. Still, the growth is stunning: “By 2030, China’s total Christian population, including Catholics, would exceed 247 million, placing it above Mexico, Brazil and the United States as the largest Christian congregation in the world, he predicted. During the “10 year catastrophe,” as the Cultural Revolution is commonly called in China, Catholic churches were desecrated, destroyed, or seized by the government for secular use. During that time Beijing’s Catholic churches were all emptied and reused: North Church was used as a middle school; South Church was a processing factory; and West Church was a warehouse for Chinese herbs. According to SARA, there are more than 5.3 million Catholics worshipping in sites registered by the Catholic Patriotic Association (CPA). The Holy Spirit Study Center in Hong Kong estimated there are 12 million Catholics in the country. Official sources reported that the CPA has more than 70 bishops, nearly 3,000 priests and nuns, 6,000 churches and meeting places, and 12 seminaries. 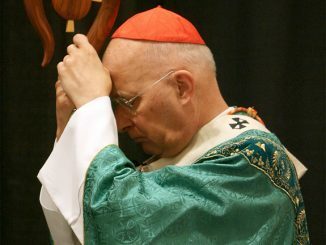 Of the 97 dioceses in the country, 40 reportedly did not have an officiating bishop in 2007, and more than 30 bishops were over 80 years of age.